Toki has been turned into a monkey. 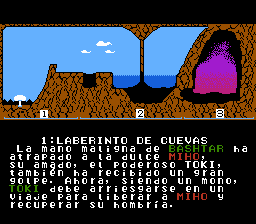 His girlfriend Miho has been kidnapped and he must get her back. 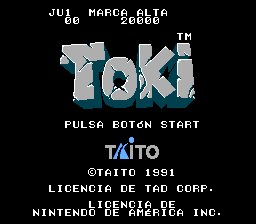 Full translation to spanish for “Toki”, for the Nintendo Entertainment System. 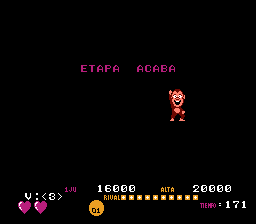 Adds special characters.